For a second everything went quiet in the cab, then the driver said, "Look friend, don't EVER do that again. You scared the daylights out of me!" The passenger apologizes and says he didn't realize that a "little tap" could scare him so much. 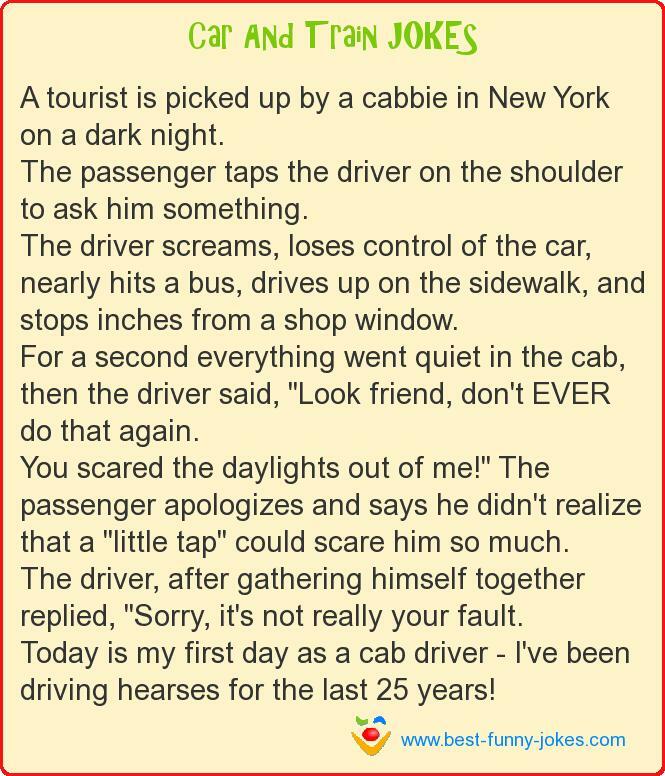 Today is my first day as a cab driver - I've been driving hearses for the last 25 years!